The first thing we saw upon arrival to Red Car was a bottle of magnum rosè – well, that and a neon compact disc sign. This lovely tasting room has a modern design with a hint of nostalgia and it features delicious wines. We were fortunate enough to arrive at a time where it wasn’t busy, affording us the opportunity to enjoy great conversation with our wine pourer and seats right up at the counter. Back to the rosè – you might recognize the Red Car rosè label with multi-colored vertical stripes on it. It’s refreshing, easy to drink and a perfect first wine to introduce you to their portfolio. A highlight from our visit, aside from the great conversation and cool environment, was the back-to-back tastings of Chardonnay. 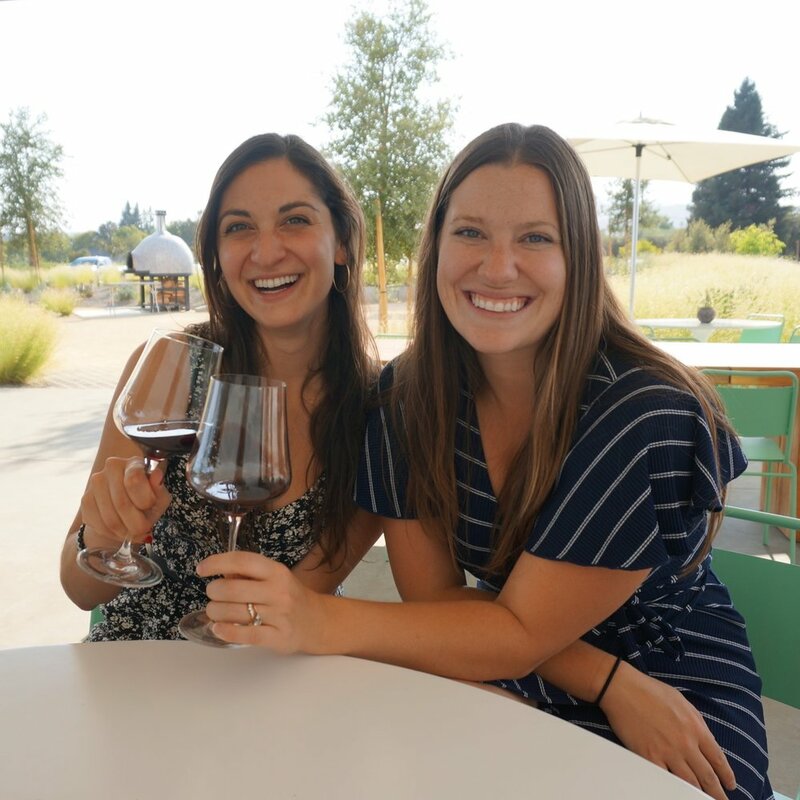 While Red Car does not offer a standard vineyard experience, being that it is a tasting room, it has a great outdoor space upon entry that we would have taken advantage of had it been a little less chilly. They also offer a remarkable coastal vineyard experience on their winemaking property that we are eager to check out. We had a great time at Red Car – the atmosphere, the warm welcome and conversation and the wines definitely will bring us back on future trips. Hot Tips: Try the rosè. Ask about the coastal vineyard tour.